Forget your old alarm system. This drone will protect your house. A new startup wants to turn drones into guardian angels for our homes. 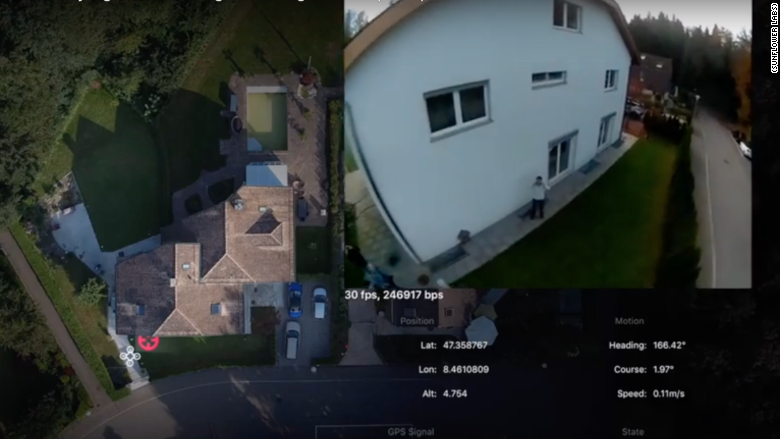 Sunflower Labs -- with headquarters in Silicon Valley and Zurich, Switzerland -- announced a new security system on Thursday that detects possible threats and investigates them with a drone. 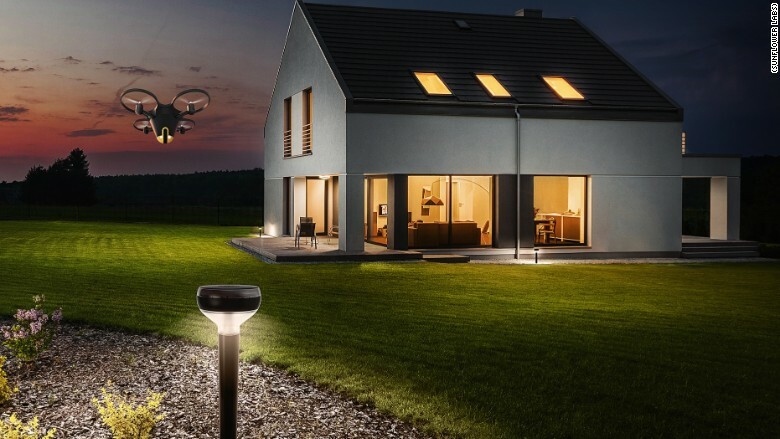 Here's how it works: The Sunflower Home Awareness System relies on the drone and a handful of in-ground smart lights to watch over your house. It detects motion, vibration and sound. By analyzing this data, the system can distinguish between a human, a car and animals. To do so, it uses artificial intelligence to identify the disturbance and determine if it's potentially dangerous. For example, trusted visitors such as mail delivery persons will be recognized by how they approach the home and how long they stand at the front door. When a person approaches and lingers outside the back door, Sunflower Labs will send a push notification to your smartphone and ask if you'd like to investigate. Here's footage of what the drone sees when investigating suspicious activity. "Our goal is to make it a hum, as opposed to [producing] an obnoxious buzz," Pachikov said. 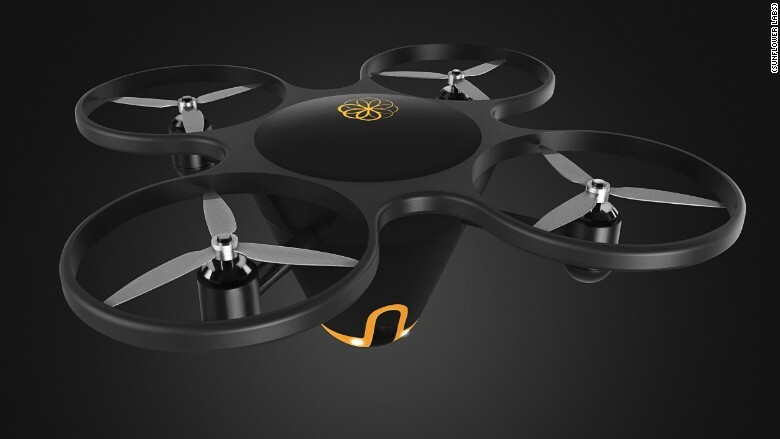 The drone currently weighs almost two pounds, but the company wants to get it down to half a pound before it ships. It also features two cameras and only collects footage of a home owner's property to protect neighbors' privacy. 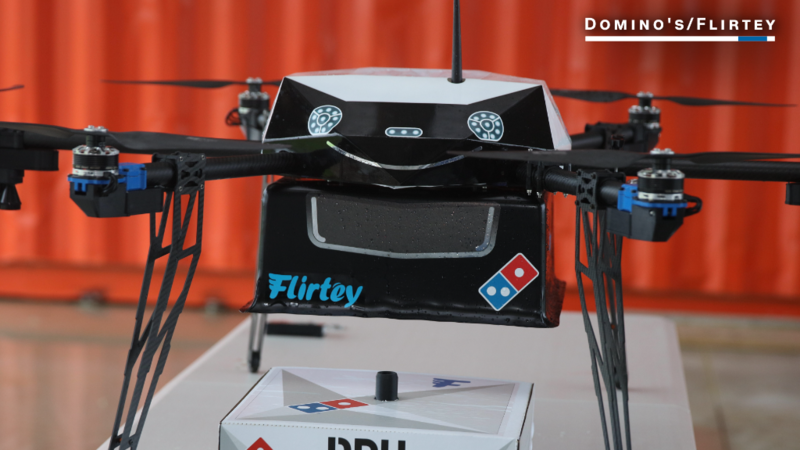 However, the drone is sure to raise safety, privacy, nuisance and regulatory concerns. New rules, which allow operators who have passed an aeronautical exam to fly drones under 55 pounds no higher than 400 feet, went into effect for commercial drones in August. And autonomous flight isn't legal for commercial drones. The price to use the system is unclear as of now, but the lights are expected to cost $159 each. Meanwhile, the drone can be rented for a fee, comparable to what traditional alarm systems cost. Pachikov is working to integrate it with voice assistants such as Siri and Amazon's Echo.